Photography courtesy of Laura Sergeant. Click image to enlarge photo. 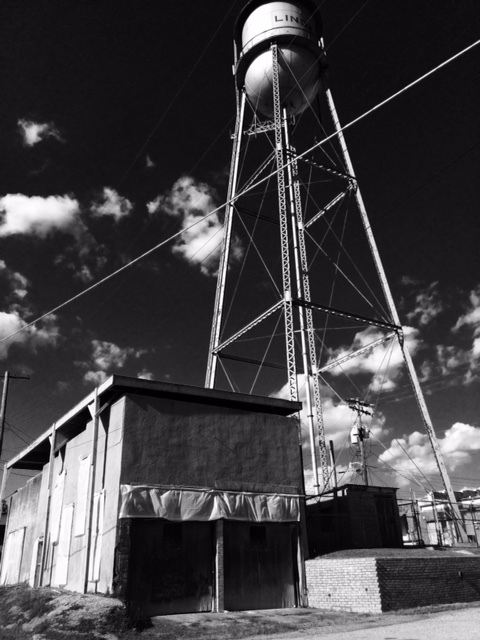 Funded by water tower supporter Don Henley, an independent engineering study led by MTG Engineering was commissioned to professionally assess the tower’s structural stability, recommended repairs, and cost options. On October 9, this important study was completed and delivered to Mr. Henley, Members of Linden City Council, and Directors of the Linden Heritage Foundation. The findings show that the iconic 1934 water tower has weathered time remarkably well and that it remains sturdy and safe, although minor structural repairs are recommended to one of the footing bolts and to some of the secondary features (such as ladder, railing, and access hatch). A summary of these detailed engineering investigations is available on the Documents page of this website. 2) research and submit applications for the water tower and historic firehouse to be listed as local historic landmarks. The Linden City Council Resolution of 13 October 2015 is available on the Documents page of this website. Aerial video of Historic 1934 Water Tower and the Courthouse Square in Linden, Texas courtesy of Kerry and Erin Wells.